Actually.. 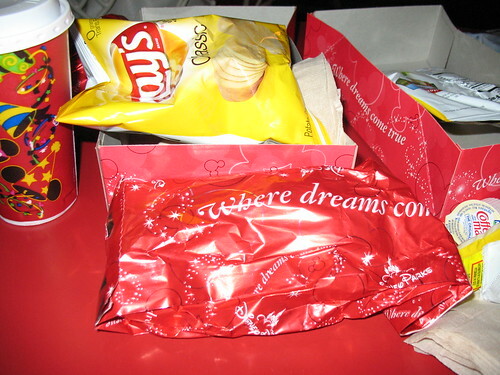 I think they call it refreshment Corner at DL, but it's always Coke Corner to me. But the best part is listening to Rod Miller play ragtime piano in the evening. Rod has been playing there for over 37 years and has an avid fan club. He's a great guy and fun to chat with. Don't miss a visit there if you can avoid it. A fun place for a snack, or a meal if it's hot dogs you are hungry for! Usually a Dixieland piano can be heard here and sometimes..if you are lucky, Alice, Mary Poppins,Bert and the Mad Hatter turn up for a bit of silly fun. Usually very approachable for pictures and autographs too. 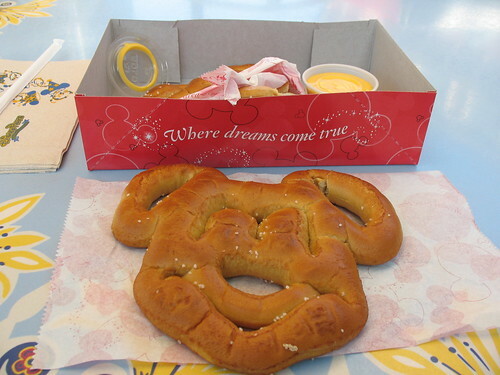 We love the Mickey pretzels the best..
but the hot dogs are good here too. Mostly it's just a really fun place.